Today’s Buffalo Boss Babe Liz Ann-Miller, MS is making a direct impact on Buffalo’s opioid epidemic as Evergreen Health-Harm Reduction Center’s Director of Behavioral Health. The Harm Reduction Center at Evergreen Health is for people who use drugs and would like support to be safe, improve their health and reduce risk of overdose. Learn how Liz grew from Case Management to currently overseeing operations for low threshold/low barrier Harm Reduction programming in Buffalo and Jamestown. What made you start or brought you where you are today ? Tell us your Story. What makes you a Buffalo Boss Babe? I still remember the feeling of walking into the Evergreen Health Syringe Exchange Program for the first time and thinking..."this is the coolest thing ever". I began in Case Management at Evergreen Health and while I loved working with clients, I waited for the right opportunity to move up. I've had many years of management experience in different fields and also had a passion for working with marginalized populations so I knew working in Harm Reduction would be a great fit. 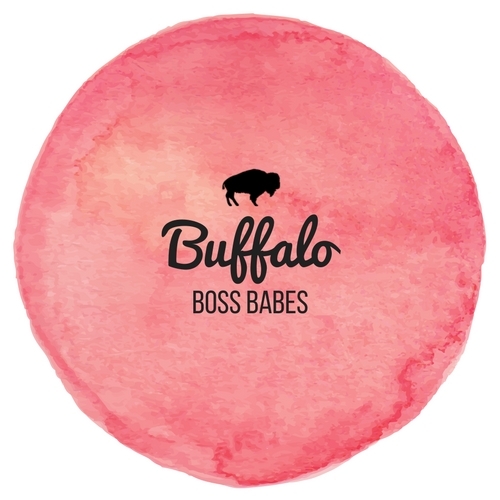 What does being a Buffalo Boss Babe mean to you? I think now, more than ever it's important to showcase strong, independent, sassy women. I'm honestly humbled and excited to be a part of this experience. I mean, what's hipper than Buffalo women? Celebrating women is also important to me for my kids. Who are your favorite people to follow ? In the summer I enjoy Canalside and Riverworks. I really love exploring at Reinstein Woods and Stiglmeier Park with my family. Hanging out in our backyard oasis is also extremely relaxing. In the winter... I hibernate. Tell us about your favorite collaboration or dream collaborations ? I really enjoy collaborating with local non-profit, community-based low threshold programs in WNY such as Matt Urban Hope Center. My dream collaboration would be to work with state entities to create a legal safe consumption space program. This would allow people who use drugs to use in a safe, sterile, compassionate environment with access to other supportive services. If you could have coffee with anyone in the world who would it be? Mariska Hargitay from Law and Order SVU. I've always loved her character and some of the issues she has to work through, she also is a strong advocate for those experiencing domestic violence. Frida Kahlo would be my other choice as she brought to light what pulling through adversity can mean. What are your hopes, dreams, and goals – big or small? I hope to continue doing what I'm doing. I love my job, I love helping to support individuals who are negatively stigmatized by society, I love people that use drugs, and I love working with people who fully embrace harm reduction. I can't really see myself doing anything else at this point. I have been married to my wife for about 6 years now, I have 3 now older step children and a biological daughter who is 3 years old. We also have a lovable pit-mix named Laya. It's a busy life! Favorite thing about Buffalo: The people. It's hard to experience the friendliness anywhere else. 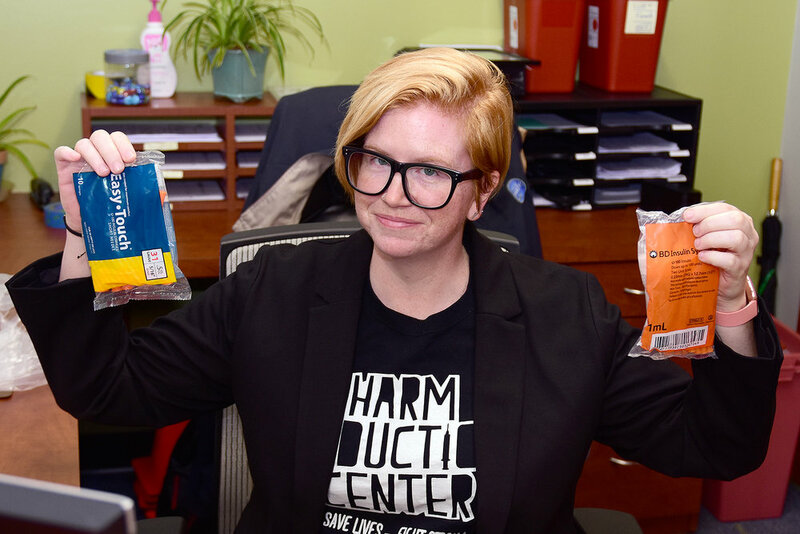 Follow Liz and The Harm Reduction Center at Evergreen Health’s fight against the opioid epidemic at @harmreductioncenter on Instagram. I’m so grateful to be a part of the #BuffaloBossBabesTeam.